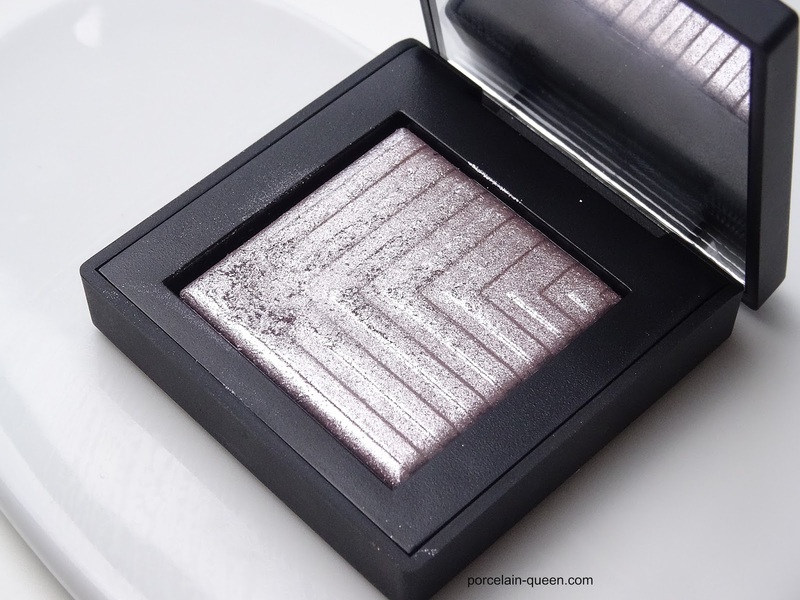 I did not think it possible to love an item of makeup as much as I love this eyeshadow - it is pure perfection. When I saw 'Callisto' I knew I had nothing like it what so ever and would probably never see anything like it ever again so I had to have it regardless of the hefty price tag. I even broke my number one rule of not swatching before photographing and wore it on a night on the tiles later that night. The colour is hard to describe, its one of those colours you just have to see to truely know. In some lights it is a pure silver, in others it is frosted lilac, and in others it shows a hint of taupe. 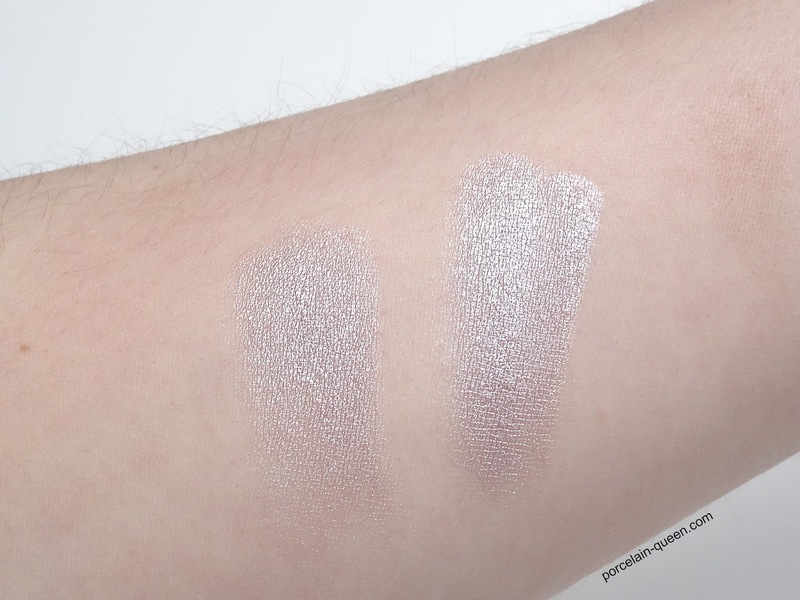 It swatches almost as perfectly dry as it does wet - as you can see from the swatch the difference is minimal, however if applied with a fluffy blending brush you would have a more sheer appearance. The packing is just everything, I could sit and gaze longingly at its beauty every second of every day. Now I am a person that has never owned any NARS products that have this style packaging so I was overwhelmed by its cuteness, it comes complete with a compact mirror and a magnetic fastening. The price is hefty I wont lie I was taken aback at the cost, but I had to have it so obviously I parted with the cash. These gorgeous single eyeshadows cost £21 each, which is a stupendious amount for one eyeshadow - but once you have it you can bask in it's beauty all day long. 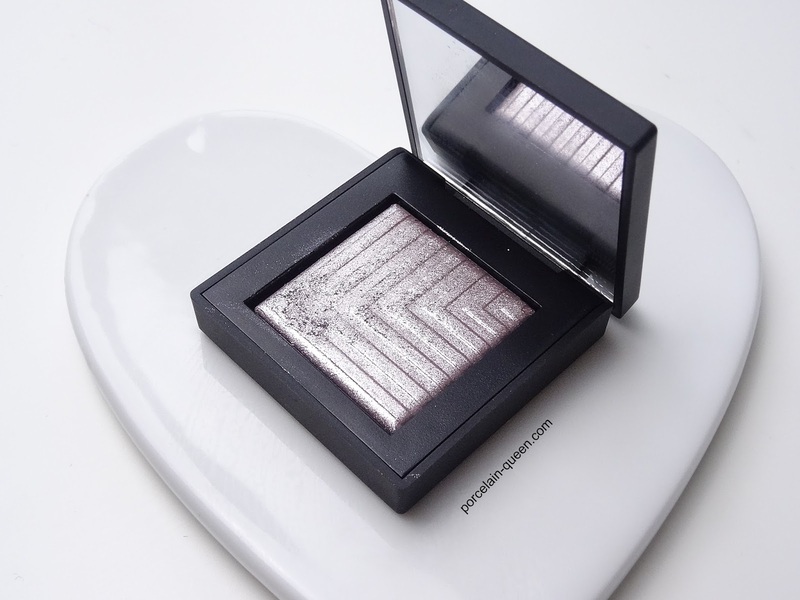 Have you tried any of the NARS Dual Intensity Eyeshadows?